Home / Small Animal Supplies Equipment / Salt/Mineral Licks / Carrot Flavor Salt Lick with Holder by Ware Mfg. Carrot Salt Lick by Ware Mfg. 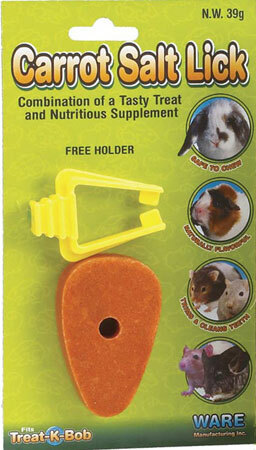 Flavored with essence of Carrot, comes complete with holder for easy mounting on almost any cage. Ware Mineral Treats are available in Apple (mineral) and Carrot (salt) flavors as well as Mineral Charm Chews and Mineral candy chews. 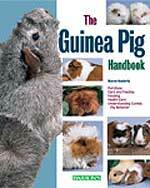 Keep your critter happy and healthy with a variety of these important dietary supplements.